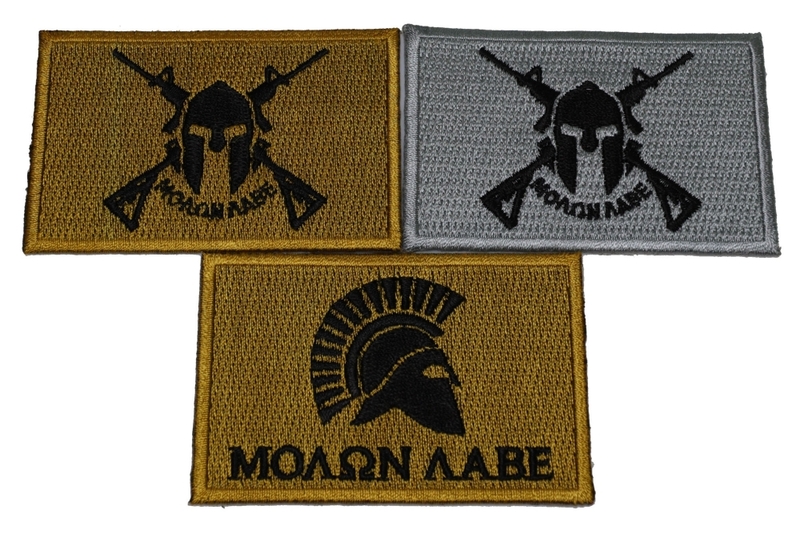 1 x Black and Gray Come and Take It Molon Labe Spartan Crossed Rifles Patch measuring 3x2 inch. 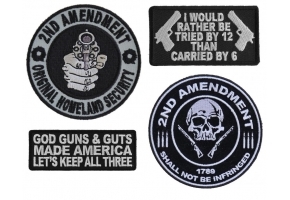 1 x Come and Take It Molon Labe Crossed Rifles Patch measuring 3x2 inch. 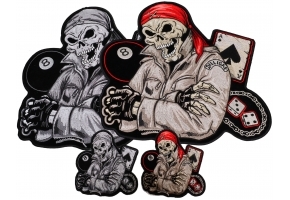 1 x Black and Brown Come and Take It Molon Labe Spartan Helmet Patch measuring 3x2 inch.